Calef Brown's quirky illustrations and nonsensical poems come together to form something I think is delightful and will make kids laugh out loud. After all, who can resists lines like this? "Boogie to the banjo./Bop to the bongo./Freeze like an igloo./Stomp like a buffalo in the Combo Tango"
Gallop moved down a spot in its 11th week on the list. If you haven’t seen this book yet, I urge you to check it out. This book is amazing! By flipping through you book you can see a horse galloping, an eagle soaring, and many other animals in movement. The content rhymes and has funny replies that will leave your child laughing. 3. Smash! Crash! by Jon Scieszka. Illustrated by David Shannon, Loren Long and David Gordon. Scieszka’s newest book remains at #3 in its third week on the list. Smash! Crash! 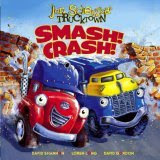 kicks off Scieska’s Trucktown series for preschool/kindergarten-aged children. If you have a child in your life who loves trucks and who loves to smash things together, he/she will be delighted as Jack Truck and Dump Truck Dan smash and crash through the town. This zany, pun-filled book follows the adventure of Chicken and George as they set out to follow Chicken's dream. I thought it was cute and chuckled a number of times, but younger children may not fully understand or appreciate all of the puns like, "You must be yolking," and "What are you--a comedi-hen?" This cool collectible moved up three spots in its 15th week on the list. If you have a Star Wars fan in your life (or you are one yourself), this would make a great gift. Knuffle Bunny Too is the follow up to Knuffle Bunny: A Cautionary Tale . Here, little Trixie goes to school and discovers that her beloved Knuffle Bunny is NOT the only one in the world…oh boy. Willems illustrations and story had ME laughing out loud more than once. If you’re unfamiliar with Knuffle Bunny or Willems’ other works, I highly recommend you check him out. With its fourth appearance in the top 10, the only words in this book are from an invented alphabet. In the book, an immigrant leaves his family behind to start a new life in a new country. Haunting, emotional, hopeful…these are only a few words to describe this captivating book. 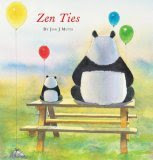 In its second week on the list, this is a surprisingly heartwarming story of a Buddist panda who encourages his nephew and friends to help a grouchy neighbor. They’re surprised by what they get in return. This Caldecott Honor Book and Theodor Seuss Geisel Honor Book moved down 7 spots this week. In my opinion, this is another must have for a small child in your life. 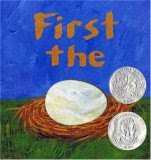 Through die-cuts and rich, vibrant illustrations, Seeger presents a series of “first/then” scenarios (egg/chicken; tadpole/frog; seed/flower). The third Caldecott Honor Book on the list this week, The Wall debuts in the sixth spot. In this fascinating autobiographical picture book, Sis recounts his childhood growing up in Cold-War era Prague. Look for my review tomorrow as part of Nonfiction Monday. This week's rankings reflect book sales for the week ending January 26, 2008. Check out the New York Times' Children's Book Page for this week's bestselling children's chapter, paperback, and series books.